In light of the recent Wildfires in Southern California, we want to be sure you are prepared for the unexpected. Keeping your valuable items such as heirlooms, jewelry, important family documents, and firearms out of harm’s way, and in a home safe, is a safety precaution you should always follow. The unexpected can happen at any time. This can be anything from arson, severe flooding and just like we are currently experiencing in California, wildfires. 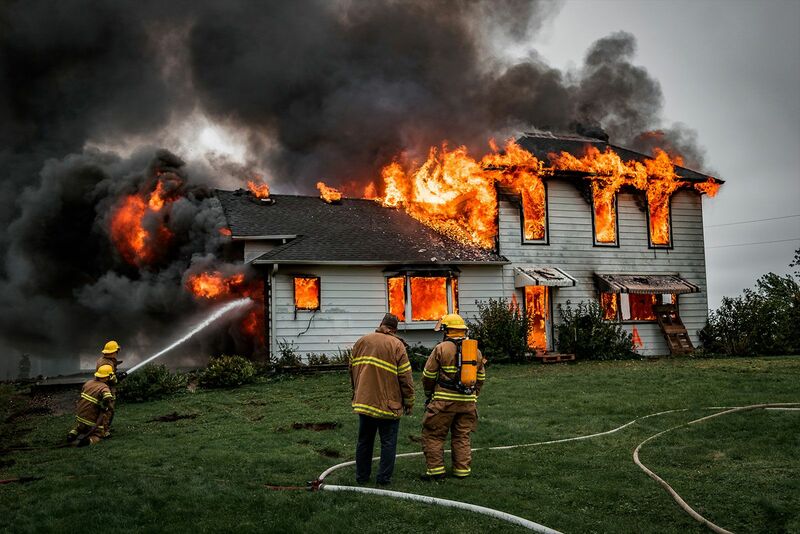 According to the National Fire Protection Association, almost two-thirds of home fire deaths result from fires in homes with no smoke alarms or no working smoke alarms. If you are residing in a hot, dry climate you have a higher chance of fire outbreak so being sure your home is secure by using smoke alarms is imperative. As a tip, building code requirements might not be the same for every location, but in general, you should have one inside and outside of every room, including your basement and garage. In Southern California, some residents only had less than ten minutes to pack up their family and valuables and flee their home as the fire was inching closer. With such little amount of time, it is imperative you keep your valuables in one organized and secure location. A safe is one of the best investments you can make to feel comfort in knowing your valuable items are protected. The two most common safe to have on hand in case of fire emergency are a fire-protected home safe and portable safe. A home safe that is fire protected will keep important documents, valuables, and firearms safe in the case that you are forced to evacuate quickly with no time to pack. To determine which safe is best for you, you must think about the items you need to store out of harm’s way. The next decision is the estimated amount of time you will need your safe to be protected from fire. Most common safes will range from 30 to 90 minutes up to 1400 degrees Fahrenheit. The Cannon Premium Safe can withstand temperatures up to 1400 degrees Fahrenheit for as long as 90 minutes. This model comes with a dual stage premium expanding seal that protects instantly against billowing smoke with heat activated expanding material that provides further protection against hot smoke. In case you don’t have enough time to grab your home safe during an evacuation, having a portable safe is ideal for the smaller documents and valuable items such as passports, medications, family photos, ownership deeds, birth certificates, and jewelry. This safe should be in an easily accessible place for easy grab and go during a quick evacuation. Remember to ask yourself these questions when looking to buy a safe to ensure it is the most accurate for your needs. Are you looking for storage for firearms? Do you want something portable? Does it need to be fireproof, and if so, for how long? Having your items properly secured gives you a greater peace of mind. This will give you the opportunity to solely focus on your family and utilizing the best evacuation plan given by the local officials. In the event of a wildfire and home evacuation, learn more about the Cannon Safe brand promise and how you can choose the right safe for your needs.